Homeowners insurance is an essential purchase for just about everyone. Our homes are one of our most valuable assets, but what if something were to happen to it? Fire, flood, theft, earthquake, or any of the other unpredictable things that could happen to your home. What would happen to you and your family if something tragic were to happen to your home sweet home? 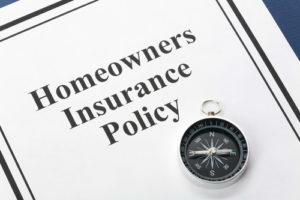 Homeowners insurance policies can be expensive, but they don’t have to be. If you haven’t heard, homeowners insurance rates in Denver, Colorado have been rising, and will continue to rise. There are plenty of ways that you can lower your homeowners insurance rates. If you’re looking to save money every month, we have a couple of tips for you. This is one of the easiest ways to lower your monthly premiums. If you have your auto insurance or life insurance with different companies, you could save hundreds, or even thousands of dollars every year just by switching all of your policies to the same company. Just about every insurance company offers a multi-policy discount. Ask your agent about bundling your policies and saving money. Switching companies could be one of the simplest ways to save you money. If you’re looking to bundle your policies and save money on all of your insurance plans, Longevity insurance can help! We can give you quotes on your auto insurance and life insurance. We offer some of the best Denver car insurance rates and life insurance rates in Denver, CO. We will give you excellent quotes for the policies that fit your needs the best. Alarm systems not only give you peace of mind when you’re away from home, but they can also save you 10% or more on your homeowners insurance policy. The more protected your house is from theft and fires, the less risk you’ll pose to the insurance company. Increasing your protection against theft could be as easy as calling a security company or even just installing deadbolts on your exteriors doors. But not all security systems are built the same. Having a system that is connected to an outside company that will automatically call the policy will save you more money than an alarm system that just makes a lot of noise. Getting a quality alarm system might not be as expensive as you think. The necessary equipment can be anywhere from $600 – over $1,000, but before you automatically discount this method, it could save you more than that over the years. After you purchase the equipment, monitoring services will cost you an average of $30 a month. Similar to having an adequate burglary system, smoke detectors or a sprinkler system can save you a significant amount on your monthly premiums. Adding these systems to your house is going to be an investment, but they will easily pay for themselves after a few months of your lowered rates. Aside from saving you money, you can know that your house is as safe as can be. These systems are basically like having someone watch your house 24/7. Raising your deductible for your homeowners policy can save you money every month. The deductible is the money you’ll pay out of pocket before the insurance policy goes into effect. So, the higher your deductible is, the lower your monthly rates are going to be. But you have to be careful when raising your deductible amount. In most cases you can raise your deductible to $1,000 or more, but your mortgage lender may actually limit how high you can raise it. Be sure not to raise your deductibles so high that it will break your bank if you ever need to file a claim. Spend some time looking at your finances and decide the right balance of a higher deductible and your monthly premiums. Aside from putting in a security system, there are a few more upgrades that you can do to lower your monthly premiums, and most of them are pretty simple. Things, like adding storm shutters and reinforcing the roof, can save you money on your policy. The best way to lower your premiums through reinforcing your home is to ask your insurance representative about which alterations will save you money, don’t waste money on improvements that aren’t going to lower your premiums. These improvements could be anything from improving your heating system or updating your plumbing and electrical systems and wiring. These will reduce your chances of having a fire or a leak that could cause serious damage. You’ll spend some money up-front, but your wallet will thank you in the long run. This tip surprises a lot of homeowners, but did you know that being a smoker could raise your homeowners insurance rates? Not only is smoking bad for your health, but bad for your home insurance policy. Smoking cigarettes increase the chances of having a house fire, which makes you more of a liability, which then translates to higher rates. Getting smoking will save you money in several ways. You’ll save money on health insurance, life insurance, and home insurance. With all of those savings, how can you not quite? There a plenty of ways to help you quit smoking, like nicotine patches or gum, and neither of those could start a fire. It isn’t going to be the most fun way to lower your rates, but your lunch and bank account will thank you later. Having the homeowners insurance policy you deserve shouldn’t cost you an arm and a leg. There are plenty of ways that you can lower your monthly fees without having to give any of the coverage you want. These are only a few of the ways that you can save money. If you’re looking to save even more, you can contact your insurance company and ask about additional discounts that you can receive. At Longevity Insurance Brokers, we are committed to giving you the best coverage at the best homeowners insurance rates available in Denver. If you have any questions, or you would like to receive a quote for your homeowners insurance, we would be happy to talk to you.